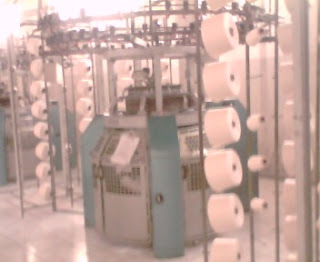 Apparel-Merchandising: Relation Between Yarn count, Knitting, Dyeing & Gsm. Relation Between Yarn count, Knitting, Dyeing & Gsm. For choosing correct yarn count and for producing accurate require fabric it is very important for us to learn the knitting rules & conditions. From my next several post we will learn the Relation between Yarn count, Knitting, Dyeing & Gsm. Pls find the below what you enter above measurments. Kindly check and Update the same. @bingi maheshkumar... pls you cross check once again. your calculations are wrong. whereas bipul's calculation is right. GSM MEAN = GRAM PER SQUARE METER. 30/S = 30 SINGLE. IT IS DEPENDS ON THE THICKNESS OF YARN. Comb = Good quality yarn. Card = Not so good as comb. Its a great help for the young merchandiser. How to selection yearn count Lycra S/J, Lycra 1 X 1 Rib, Cotton Thermal, terry fleece. Pls advice. How i selection yarn count for Lycra S/J, Lycra 1 x 1 Rib, Thermal & terry fleece. Thank you very much. I am new friend of you And hope you will be helpful to me. Thanks for all. I am a new viewer of you and hope you will be very helpful to me. Hi, bipu:This is a fantastic work you have done. I am hopeful that it will help many young people to make them inspire, I am looking for some tips to set up a apparel factory, may I nssd your help? How you determine the fabric width of knit fabric And What is the best way to reduce cutting wastage ? first i write to you,i see all the comments & status.it is very important to all the related person of this trade.(RMG). next time i post my question. Can you pls answer to one of my questions........?? What is the meaning of Honeycomb s/j and honeycomb pique...?? what cam arrangement will be for these designs.....?? pls tell me about the honeycomb s/j & honeycomb pique..... what cam and needle arrangement will be for these designs.......? ?